Ian Evans received a visit on 4th April 2012 from members of a local family who had discovered several live oysters in Loch Nedd. 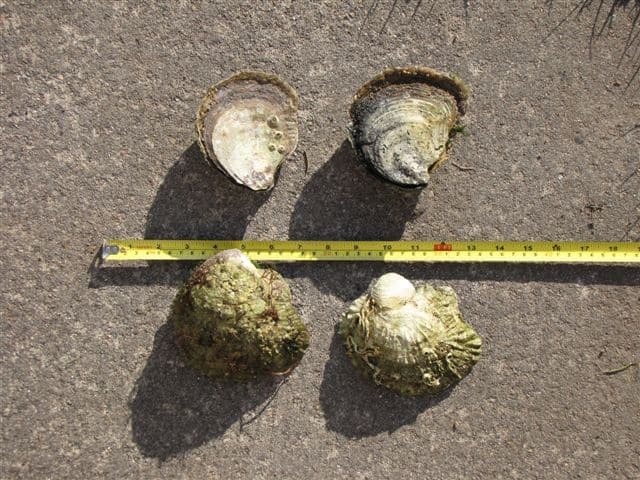 There are very few records of Native Oysters, Ostrea edulis, in Assynt so Ian persuaded the visitors to put the oysters back where they found them. Oysters were once a readily available, cheap food source but due to overfishing and pollution they have become the expensive dish we know today. They can live up to 15 years but usually survive for about 6 years and can achieve a shell diameter of 11 centimetres. 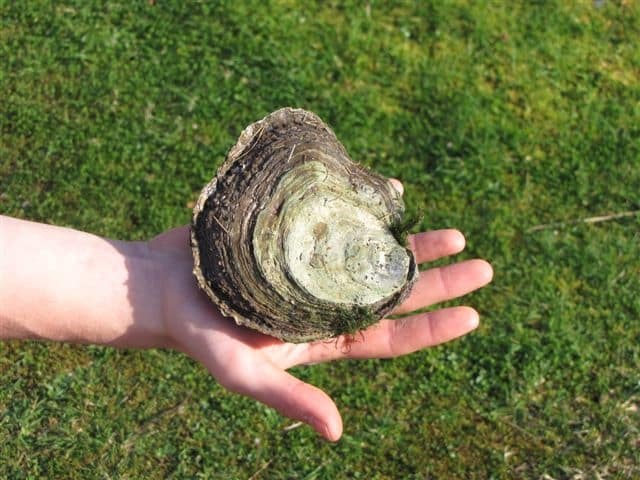 The native oyster is listed as a priority species in the UK Biodiversity Action Plan as it meets criterion 4 of the Species Action Framework as a threatened species of socio-economic value requiring action to ensure sustainable use. So let’s hope these oysters continue to grow and, given the right conditions, produce many offspring for several years to come.